If you’ve been searching for thinning hair treatments that use low laser light therapy, you’ve probably come across the laser hair regrowth helmet developed by a company named Theradome. The helmet was featured in a lot of TV programs during 2014 as a new hair loss treatment device with supposedly astonishing results. Here, we will cover everything you need to know from how the Theradome laser helmetworks and to what people are saying about it (including before and after photos) as well as a summary at the end. 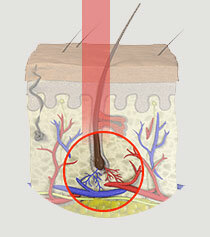 How does laser therapy work for hair loss? 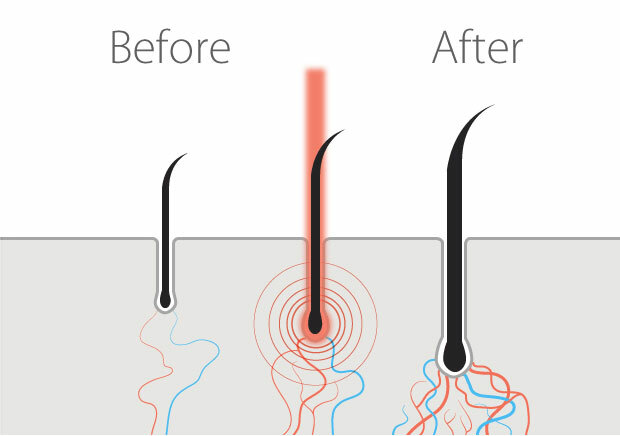 Laser therapy as a hair loss treatment has been around for many years and there are a number of focused laser hair therapy devices or treatments available in the market. Some of the more popular ones include: a laser hair comb (HairMax), a helmet, and also sessions at a professional facility (which can easily get very expensive). 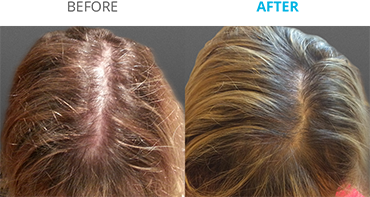 Regardless of which hair regrowth laser device you may decide to go with, all of them work in the same manner. The main difference is the strength. For instance, the laser therapy devices you see at doctor’s office provides much better coverage and strength compared to a laser brush you can buy for $50 at Amazon. However, exactly how the technology works for thinning hair treatments is based on the same principles. Theoretically, the concentrated low laser wavelength penetrates your scalp to create photochemical stimulation. When the light is exposed to the areas of thinning hair on your scalp, it increases blood flow in the affected region, which helps weak hair follicles recharge with proper nutrition for healthy growth. This concentrated light also stimulates micro-circulation within the scalp. This in turn increases cell metabolism and reduces protein-blocking enzymes, which is the main cause of hair loss (Read other causes of female hair loss). What’s special about Theradome laser helmet LH80 Pro? The company only makes one product as of right now – Theradome LH80 Pro laser helmet. 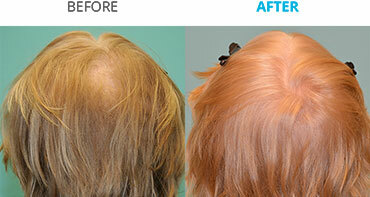 The Theradome helmet is the first FDA clearance clinical grade hair regrowth device for women (over-the-counter use). The company clearly mentions throughout their site that there has been NO side effects from all users who have been consistently using the their products. It’s much more convenient to use compared to a hair laser comb. 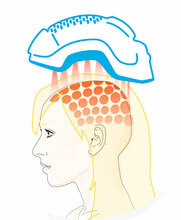 When you use the laser brush, you have to constantly move it around your scalp for even exposure. 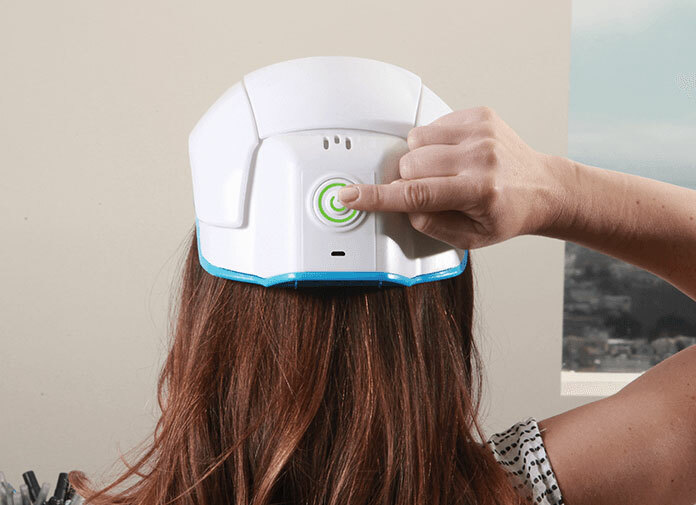 When it comes to the hair loss laser helmet, diodes (where the laser lights come out) are conveniently built inside the helmet to give the maximum scalp coverage, so all you have to do is to just wear it and let it do its work for 20 minutes twice a week. Also, NOTE that the helmet has 80 built-in laser diodes, which is 6 TIMES more diodes than a laser comb (which usually usually has 12 or less). It has one touch button on the back of the helmet, which immediately start the laser treatment process. It also has built-in voice technology to keep you track of total number of hair loss treatments . This really depends on how you see it. Currently, the Theradome laser helmet price is $895 at Amazon or for sale at the official site. At first, you may feel like it’s one costly device; However, considering an office visit for laser treatment can cost about $3000 – $4000 per year, the helmet can be used as a much affordable alternative, while getting the same power and benefits. Theradome results – What results can you expect from using the helmet? Related Post: Bosley Shampoo Reviews – Does It Work for Thinning Hair? How long does it take to see visible results? The speed of results really depends on the individual, but the site provides an overall expected time-frame based on their tests. The Theraome laser reviews were provided by participants who continually used the device twice a week for 20 minutes each time. Ok then, let’s see the photos. 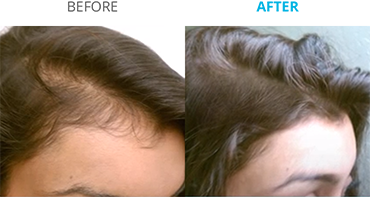 ABOVE: Looking at the thinning areas in the before photos of these 2 women above, it appears that they were either suffering from Androgenetic Alopecia (also known as AGA – the most common hair loss cause) or Telogen Effluvium (TE). 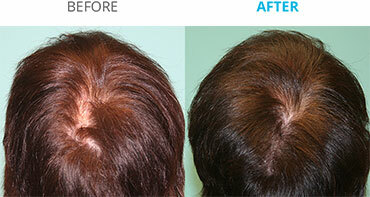 ABOVE: The before photos show the overall thinning, which is also known as the late stage of AGA hair loss. The difference between the before and after photos is clearly visible here, especially the first woman. 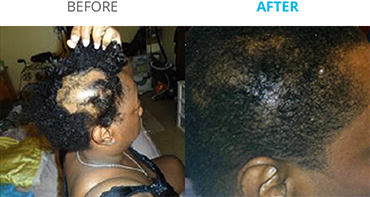 ABOVE: It appears that this hair loss was due to Traction Alopecia (TA). TA is caused by too much stress on the hair, often from long-term styling of hair such as tight ponytails, weaving, or braiding. Each of these creates a lot of pressure on the hair follicles and will eventually cause the hair to fall out. Visible difference: You also have to see these before and after photos people posted in the Amazon customer reviews. The differences are HUGE. Decrease in shedding: Some people noticed much less hair shedding as little as 2 weeks. As expected, there are others claiming that the helmet didn’t make much difference. Unfortunately, they didn’t share their progress photos. There are several reviews mentioning technical issues with the received units (Ex: stops working after several uses, power charging issues, etc.). They had to contact customer service for repair or replacements. Is Theradome right for me? The Theradome laser helmet is designed for Androgenic Alopecia – the most common female hair loss. So if you are suffering from common hair loss symptoms such as overall hair thinning and widening hair parts, the Theradome helmet is definitely worth trying it out for hair loss treatment. 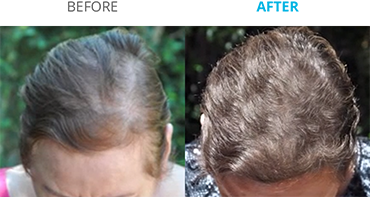 The official site states that all of their participants benefited from minimizing hair loss to witnessing new hair growth with the continued use of the helmet (and no side effects). If you are looking for Theradome coupon code, please keep in mind that the company doesn’t appear to offer any discounts on their product. Have you tried Theradome? Share your experience!